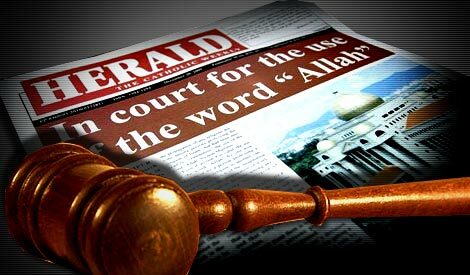 The Sabah Law Association (SLA) categorically denies that a decision was made on October 26, 2013 at the executive committee meeting to “stand side by side with the Catholic Church when the Allah case goes before the Federal Court” as was reported in The Malaysian Insider website. The SLA does, however, take cognisance of the materiality, serious significance and sensitivity of the matter by all parties concerned. Prime Minister Najib says Christians in Sabah and Sarawak are not affected by the Court of Appeal ruling on the ‘Allah’ term. Prime Minister Najib Tun Razak said the Appeals Court’s decision on the use of the word Allah does not affect Christians in Sabah and Sarawak. Najib said the contents in the 10-Point Agreement decided by the federal cabinet on the matter would be maintained for the two states.